352 Back to the dealer for work. I brought the camper to learn how the rig felt. 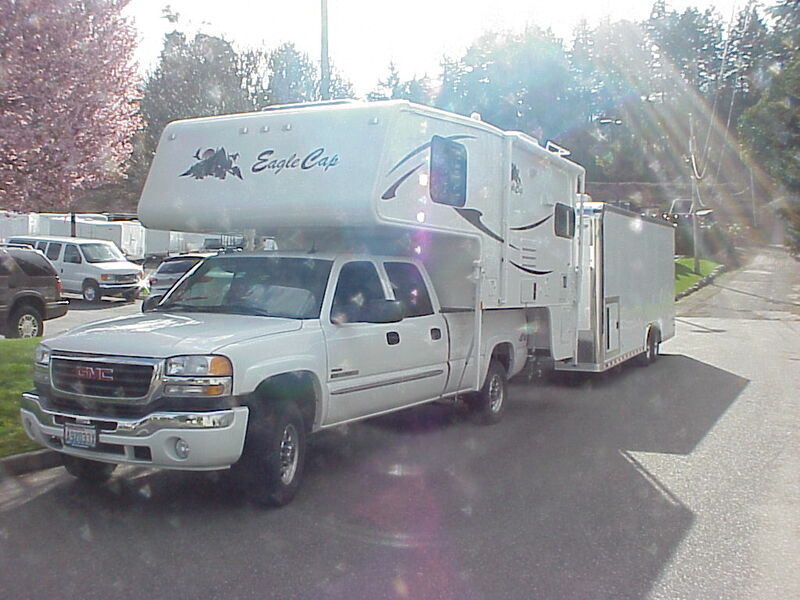 We weighed the camper and the truck when they were apart in Oregon in October of 09. We were at the camper factory getting a few things done during vacation. Guess what? The weight lable on the camper is wrong. It's suppose to weight 3800 lbs with full tanks. Instead it weighs, with a nearly empty water tank, 5100 pounds. Ouch. Parts are on order. This truck is being converted to a dually!